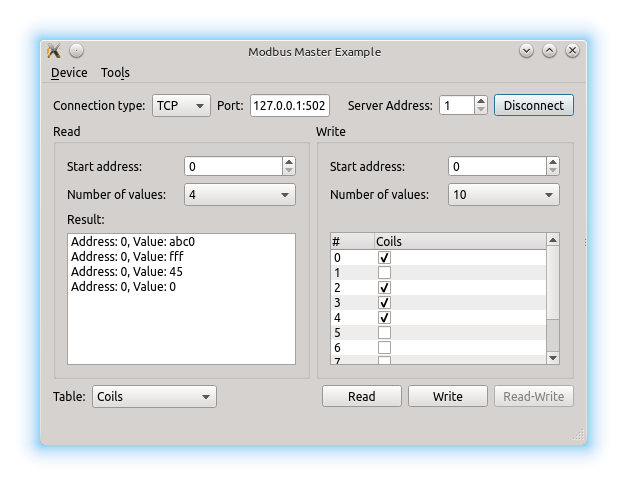 The example acts as Modbus master sending Modbus request via serial line and TCP respectively. The shown dialog allows the definition of standard requests and displays incoming responses. The example must be used in conjunction with the Modbus Slave example or another Mobus device which is either connected via TCP or Serial Bus.